Delete the Visual Studio Team Explorer cache via deleting the C:\Users\username\AppData\Local\Microsoft\Team Foundation\3.0\Cache folder. Not the answer you're looking for? 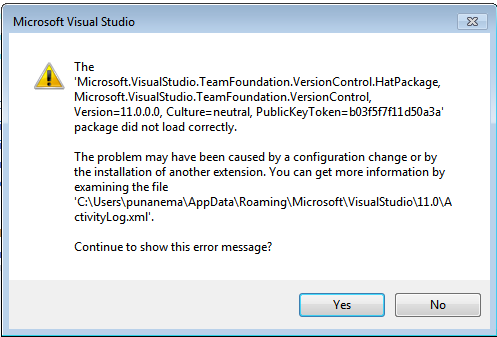 Browse other questions tagged visual-studio visual-studio-2012 tfs or ask your own question. How to connect to LocalDB in Visual Studio Server Explorer?